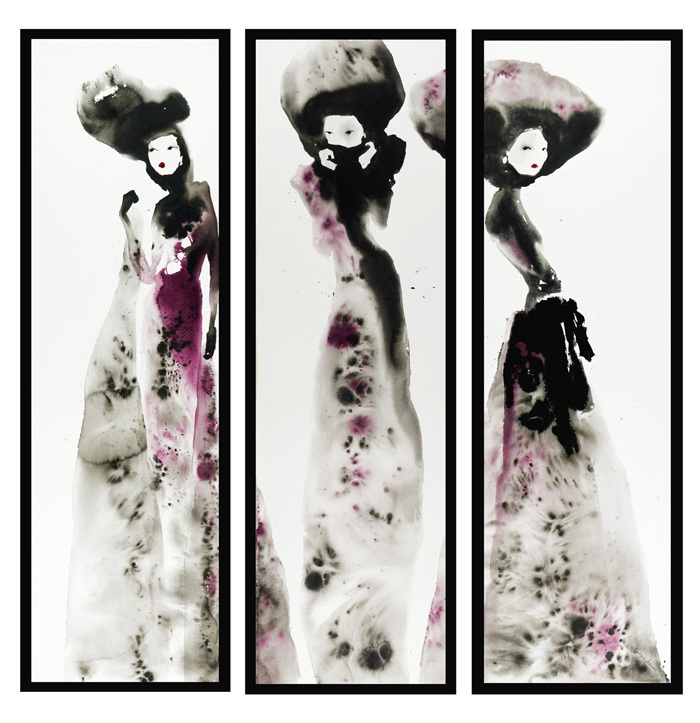 A fashion inspired painting using acrylic ink on 640gms textured watercolour paper. This work consists of three separate paintings that interact with one another. The images themselves should be placed 5cm apart. Each painting is 105cm x 31cm unframed. Please contact me for more information as the paintings are currently in frames and if possible they can be sent framed by courier.